Another proof that you do not necessarily need a large number of tracks to make a good album. Four powerful morning psytrance tracks full of positive energy. 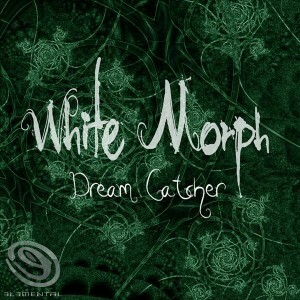 I discovered White Morph's music only recently while going on Ektoplazm after a long time away. Everything on Ektoplazm is not always genius, sometimes very good release get bad notes and vice versa, astoundingly beautiful covers can hide flat uninteresting music. You can't really trust what you see, you see ? Trust me, I've listened to every single release on this website. That is why I'm putting only the very best on La Mojoteque. That will save you a lot of time now, won't it ? By the way, you can get this release for free here.